The Industry 4.0 situation room is factory’s nerve center where data is collected, analyzed, and visualized for real-time management and data-driven decision-making. From many years, Advantech has consistently optimized its production line in manufacturing centers to improve efficiency. 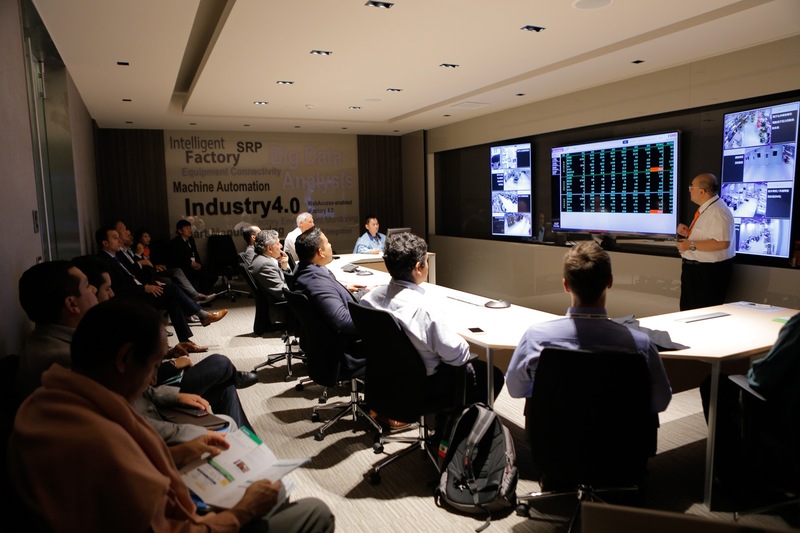 “The Industry 4.0 situation room is Advantech’s most important upgrade to Industry 4.0. The situation room is the factory’s nerve center where data is collected, analyzed, and visualized for real-time management and data-driven decision-making. This award has demonstrated that we are on the right track with our Industry 4.0 blueprint,” said Allan Tsay, Vice President, Advantech Industrial IoT Group. Advantech’s Industry 4.0 journey begins with equipment connectivity and process visualization solutions, and continues with optimization processes. Data is the key to improving efficiency in Advantech’s smart factory. “Advantech is not only an end user, but a provider of Industry 4.0 solutions. Advantech has primarily used its own products and solutions in the planning and implementation of the smart factory. Advantech’s smart factory is evidence of how iFactory solution-ready platforms (SRPs) and products can be used to implement Industry 4.0 in practice. Advantech’s iFactory SRPs are quick-start tools that enable a step-wise approach to achieving Industry 4.0,” said Jonney Chang, Associate Vice President, Advantech Industrial IoT Group. 2017 has been an important year for Advantech to continue driving Industry 4.0 growth. Advantech upgraded its manufacturing centers to real Industry 4.0 demonstration sites and has opened them to external visitors in an attempt to accelerate digital transformation and inspire the development of other smart factories. Additionally, Advantech hosted several Industry 4.0 forums in China, Taiwan, Malaysia, Singapore, Korea, Thailand, Japan, Vietnam, Brazil, Turkey and Dubai to share the latest iFactory applications with representatives from industry, government, and academia; collaborating closely to establish a local Industry 4.0 ecosystem. This July, Chaney Ho, the Cofounder, Executive Director, and Acting General Manager of Advantech Europe, received a special award for, “Industry Leader of the Year” from Asian Manufacturing Awards 2017 for his considerable effort in pushing Industry 4.0 in the Asian region. Advantech has not only realized the intelligent factory from a practical perspective, but also encourages customers to embrace Industry 4.0. “Industry 4.0 is a dynamic process that has no downtime and is constantly advancing and changing,” said Mr. Chang. As Industry 4.0 continues to evolve, Advantech will continue developing its smart factory and Industry 4.0 solutions with the aim of providing a brand-new in-depth experience for end users in 2018. The ROI Industry 4.0 Awards have been hosted in Germany since 2013 to honor Industry 4.0 solutions in the manufacturing industry. Past winners include ABB, BOSCH, SEW etc. For the first time, in 2017, ROI and Ringier Events hosted the awards in China. 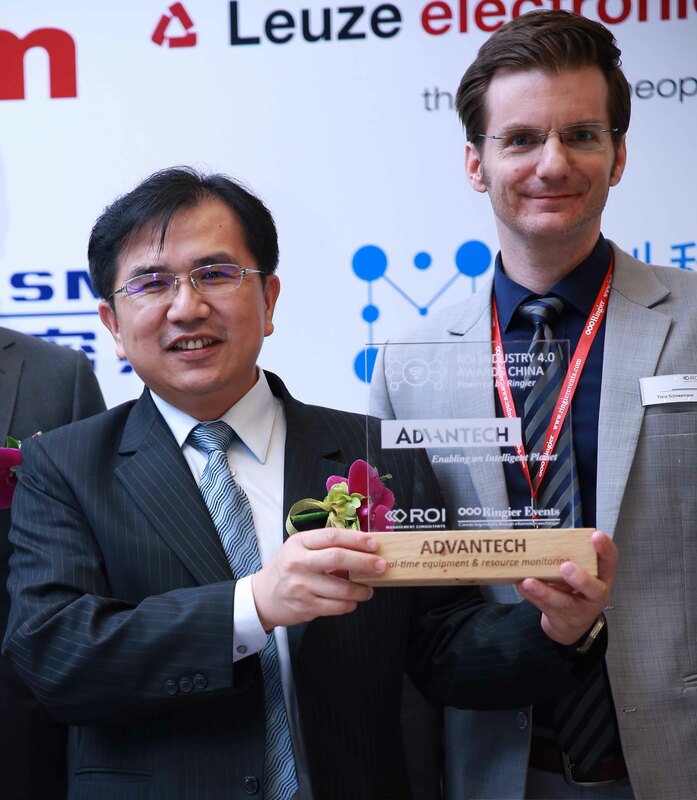 This year, 30 companies were eligible for the awards and five winners were finally chosen to receive the prestigious ROI Industry 4.0 Award China – ADVANTECH, BOSCH, TLD, BORCHE, and TRUKING.